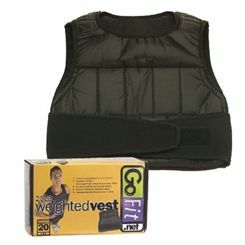 The weight vest might look like something only for the fittest, most serious athletes out there. But you really don’t have to be the next Usain Bolt or training to climb Mount Everest to reap the rewards that weighted vests can bring. 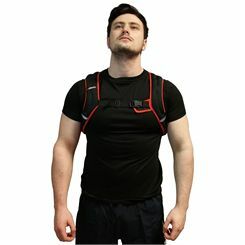 Simply put, weight vests add weight resistance to any activity you are doing, whether you are out running or hiking, working out in the gym or doing fitness classes, practising any number of sports or even cleaning the house at home! As a result, they increase the amount of energy you use to perform such activities (your metabolic cost) so you will burn more calories. They can also increase the strength and power in your muscles and joints, help you accelerate faster and reach higher speeds, and enhance your overall cardiovascular fitness. One of the great things about a weights vest is that practically anyone can use one. They are easy to put on and clip or strap securely around your waist and will suit complete beginners and regular exercisers right up to athletes training on a daily basis. Plus, they are safe to use, as long as you don’t start off with too high a weight too quickly. 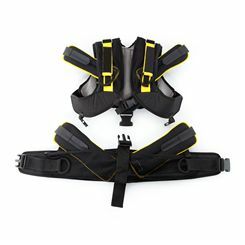 The weight usually comes from iron and sand filling inside the vest, with some models having weight packs that you can remove or add as you like to adjust the weight resistance. This is a particularly good feature for those starting out using one as it lets you gradually add more weight to each exercise you do, beginning with a low amount so you don’t overdo it and injure yourself and then increasing it in increments as you build up your strength, stamina and overall fitness. Adding just a couple of kilos might not sound like much but we can assure you that you’ll feel the difference immediately, and especially 15 minutes or so into your workout! They are equally good for both cardio and strength based activities, and wearing one during exercises that use only your body weight as resistance means you can increase the load on your body for more intense and effective reps. Many people who take up a fitness regime find that after a certain period of time they reach a plateau and struggle to get working towards their final fitness goal. In such cases a weight vest can be an excellent solution that helps push you further and on towards your aims. 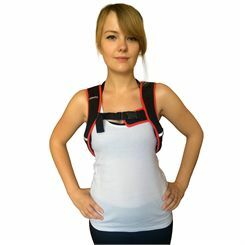 So put one on next time you hit the gym, go for a fitness class or sports training session, or just when out for a walk. 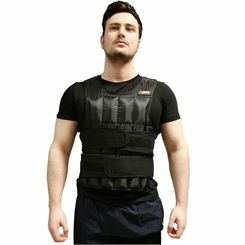 And don’t be put off by thinking that these are only for extreme athletes, get yourself a weight vest today and see how big an effect it can have on your fitness.